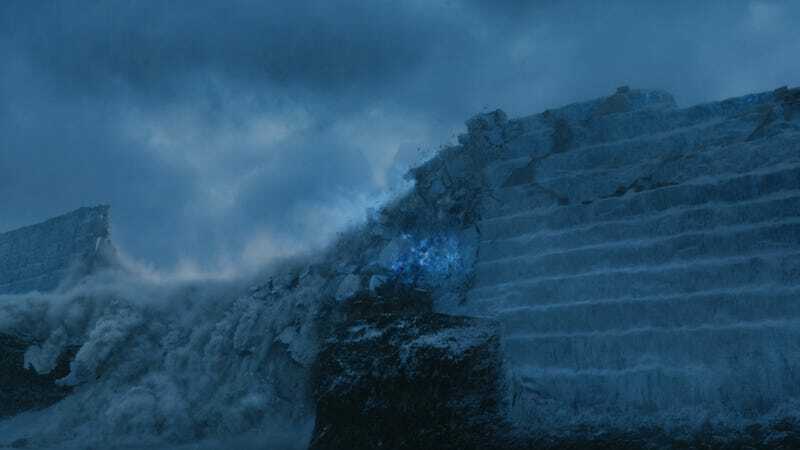 As is so often the case with Game Of Thrones news, the latest update on who survived that season-ending clash between man and wight, ice and ice-fire, and The Wall’s city planners and the Night King comes to us in a roundabout way. It began with a couple sightings of the cast—including Kristofer Hivju—in Belfast, which became this BuzzFeed piece on a Thrones reunion of sorts, which Vanity Fair and other outlets are now surmising means that Tormund Giantsbane lived out the night after all. See, Hivju couldn’t just be in Belfast, wearing a cool scarf, without picking up his sword again. And when he was spotted hanging out with Ben Crompton, who plays Dolorous Edd, soon after, it was tantamount to seeing call sheets for season eight emblazoned with Hivju’s name. It’s not much, but look, the night is dark and full of monsters, so we’re just going to let fans have this one.